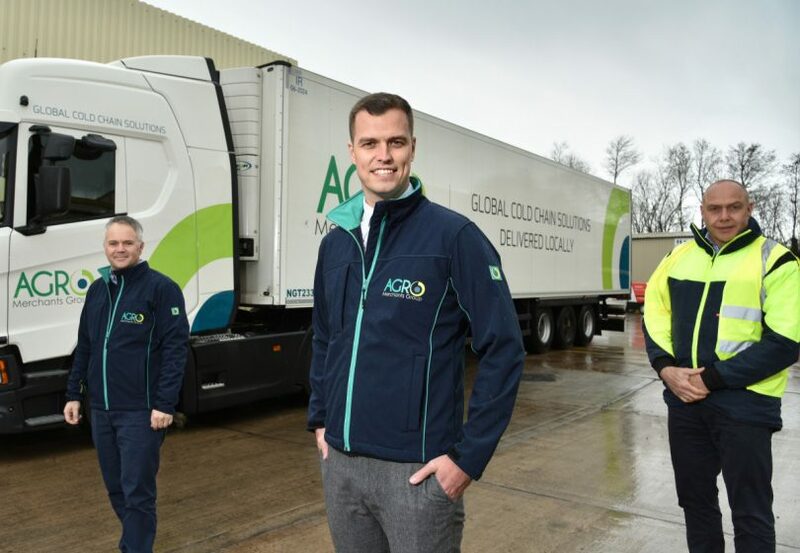 A manager from Whitchurch-based storage and distribution company Grocontinental, part of the AGRO Merchants Group, has received a prestigious European award which recognises outstanding leadership potential. Commercial Manager Ben Price, who lives in Shrewsbury, was presented with the 2019 GCCA European Cold Chain Future Leader Award by the Global Cold Chain Alliance (GCCA) which represents all major industries engaged in temperature-controlled logistics across the world. The award was presented to Ben by Corey Rosenbusch, President and CEO of GCCA, and Doug Harrison, Chairman of the International Association of Refrigerated Warehouses (IARW), during the GCCA European Cold Chain Conference in Brussels, Belgium where over 120 temperature-controlled logistics professionals gathered together to share experiences and best practices, build relationships and meet with industry suppliers. The GCCA Future Leader Award recognises talented young professionals who have the potential to become future leaders and make a positive contribution to the development of the global temperature-controlled warehousing and logistics industry. Among other eligibility requirements for the award, nominees had to demonstrate excellence in their work, the potential to excel further in the many facets within the industry and possess insight into their organisation’s strategic values and direction. Following a shortlisting process, Ben competed for the award with Andrew Lawrence, Site Director of Rick Bestwick Chesterfield. As part of the selection process, each nominee was interviewed and judged by a panel of industry leaders from around the world. Candidates were evaluated on their knowledge level of the industry, track record of excellence, communication and leadership skills. In addition, each candidate delivered a short presentation to the panel of judges and the GCCA European Cold Chain Conference attendees. Having scooped the European award, next stop for Ben will be Chicago where he will compete with other young leaders from around the world for the global GCCA NextGen Award at the Global Cold Chain Expo, taking place 10-12 June 2019.